Mr Bru Cru: Nike Kobe 9 EM. Now this is more of what I'd like to get my hands on. The hypbeasts now want to get them and sell them for extra money. Which is cool for them. I want no parts of that. Ever since Nike released Kobe's 9th signature shoe, I've been patiently waiting for a low cut pair. I knew they would. Totally opposite from the high top version of the KB9 this model, named the Nike Kobe "9EM" uses Engineered Mesh as opposed to the fly knit material. 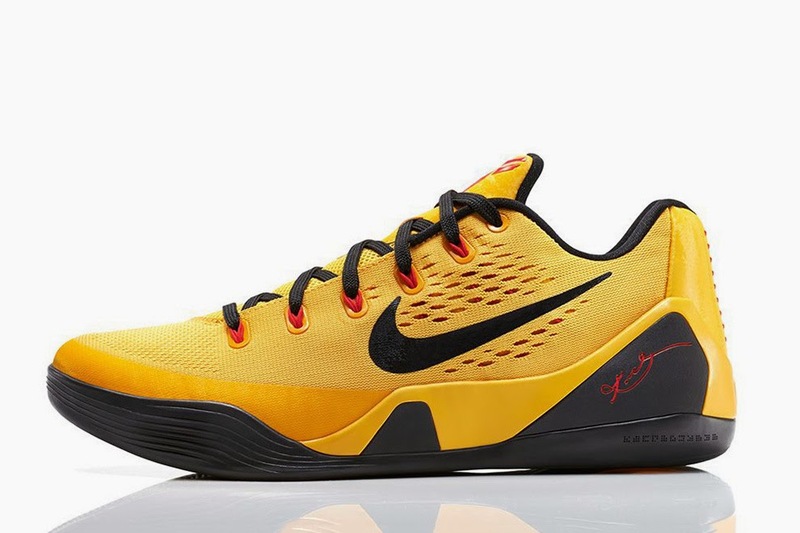 This color way also resembles that of the Zoom Kobe V "Bruce Lee" which sold out in the blink of an eye. I hope these don't sell out as fast. Can't wait to try and get my hands on these. This Saturday, March 29th is the release date. Good luck.